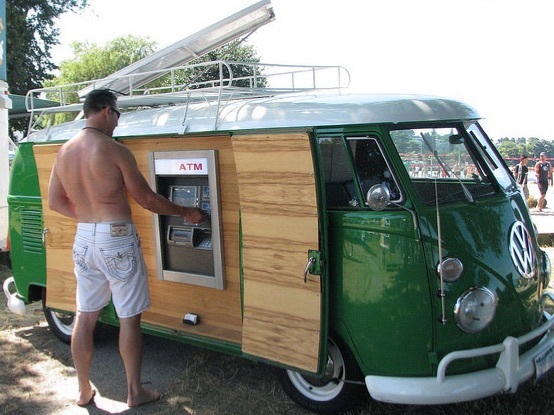 There are good ways and bad ways to use ATMs while travelling. The least impactful ATM mistakes could mean paying unnecessary fees; the worst ATM mistakes could result in you being stranded abroad or even having your accounts cleared out. Oh my gosh, Elaine. What a bum deal! Indeed, there are a lot of ATM mistakes to avoid when you’re on the road. And you’re not the only reader who has regaled me with their ATM woes. Here are 21 ATM mistakes to beware of so you can travel safely and soundly. Elaine got nailed with this ATM mistake. When you withdraw money using your credit card, not only will you pay a standard $5 withdrawal fee, but you’ll also be charged interest on your entire credit card balance as of the date of withdrawal, regardless of whether those purchases are subject to the standard 21-day grace period. I always pay off my credit card in full when the statement arrives (so I don’t pay interest), but I still learned this lesson the hard way when I got a bill for the interest on my interim charges after using my credit card at the ATM. Now sometimes, your regular bank card just won’t work in the machine (this happened to me in Grenada). If you must make a withdrawal with your credit card, pay off your entire balance plus the amount you plan to withdraw before you visit the ATM. This way you can avoid interest charges. Had I not known my credit card PIN when I was in Grenada, I would have been stranded since my bank card didn’t work. These days with chip cards, most people know their credit card PINs. But if you still have a swipe card, make sure you memorize your PIN. Debit and credit cards with chips are the norm now; so much so that some ATMs won’t even recognize cards without them. The international standard for PIN codes is 4-digits. If you have a 5-digit PIN, change it to 4-digits before you start travelling. (You can do this through your bank at home). Another reader told me she was stranded in Europe because she thought she could do the same sorts of transactions at ATMs abroad that she could do at home – such as seeing account information and transferring money between accounts. Abroad, you can generally only withdraw cash. For the rest, you need online banking. The above reader got into trouble not only because she thought she could perform transfers abroad (which she couldn’t), but she also didn’t have online banking. If she had registered for online banking before she left, at least she could have done the transfer and then gone to the ATM to make the withdrawal. Her last ATM mistake was not knowing which of her accounts was labeled as “chequing” and which was “savings”. Turns out she had the money in the right account; she just didn’t know how to access it through the ATM. You can usually label your accounts accordingly through an ATM or bank branch at home. Opening a bank account with an internationally recognized bank such as HSBC or CIBC is a great idea to reduce withdrawal fees, but you still can’t do much more than withdraw money through these bank-affiliated ATMs abroad. After seeing this terrifying video below, I always check ATMs for skimming machines. Another trick of fraudsters is to look over your shoulder, or even set up cameras to record you entering your PIN. Once they get your card (through a skimmer or even through theft), if they have your PIN they can clear your account out. Always cover your hand when you enter your PIN. It’s generally wise to set a low daily withdrawal limit just in case your card (and PIN) is stolen. But if you forget that limit and try to withdraw more, your account could be frozen. This happened to me in Panama; a call to my bank rectified the problem, but in the moment I couldn’t get any money when I needed it. Generally speaking, you can’t solve frozen account issues online. So not only is it wise to have your bank’s phone number handy, but also to register for telephone banking to ease the process of accessing your account information. When my purse was stolen in Peru, I was lucky because I had an encrypted backup on a USB stick that had my ATM card number and my bank’s phone number. 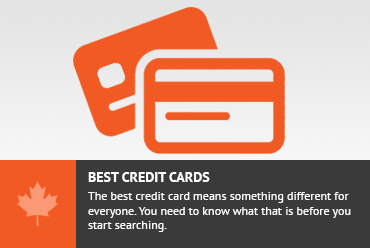 With this information, I was able to fairly easily get a new bank card. Although we Canadians aren’t blessed with Charles Schwab accounts that include fee-free withdrawals around the world, we still don’t have to pay withdrawal fees if we organize our accounts correctly. Most Canadian banks have an all-inclusive account option that includes free foreign ATM withdrawals. There’s a monthly fee to have the account, but if you maintain a certain monthly balance, that fee is waived. The exception to the above rule is if you use a private ATM that charges an additional commission to use the machine – in which case you’ll pay an additional withdrawal fee regardless of having an all-inclusive account. Although sometimes using a private ATM can’t be avoided, if you have a choice, head for big name bank machines. This will also save your skin if something goes wrong (for example, the ATM eats your card or spits out the wrong amount of money); you can walk into the bank to rectify the ATM mistake. Again sometimes this can’t be avoided, but if you have the option, use the ATM during banking hours. That way if the ATM eats your card, you have some recourse by walking into the bank for assistance. ATMs aren’t infallible. Make sure you count your money as soon as you get it. Once again here’s an advantage of using a bank ATM during banking hours; if a mistake is made you can immediately correct it. If you received the wrong amount of money or if your transaction was processed incorrectly, your receipt is your proof. You can toss it once you check online that the transaction went through properly. These days most cards work in most machines. But if you run into trouble, the first thing to check is if the ATM in question services the networks affiliated with your card. The major networks are Plus, Interac, Maestro, and Cirrus. Admittedly, I’m a bit lazy about doing this since I travel full-time and banks can only record a certain amount of travel. But if my card fails to work in an ATM, it’s generally because my bank has frozen my account due to being flagged in a foreign machine as a possible fraudulent withdrawal. Even if you do your best to avoid all the above ATM mistakes, stuff happens. When I lived in Peru, all my cards inexplicably didn’t work in any of the machines in the town I lived in. The same went for Grenada, where I could at least use my credit card to withdraw cash. When you travel, make sure you have a few different ways of paying for things; your bank card and a credit card are a bare minimum. I travel with a bank card and two credit cards. Other travellers recommend two of each. Don't subscribe All Replies to my comments Notify me of followup comments via e-mail. You can also <a href='https://www.creditwalk.ca/comment-subscriptions/?srp=5061&srk=2648578ecea05c83754707575dc5a494&sra=s&srsrc=f'>subscribe</a> without commenting.